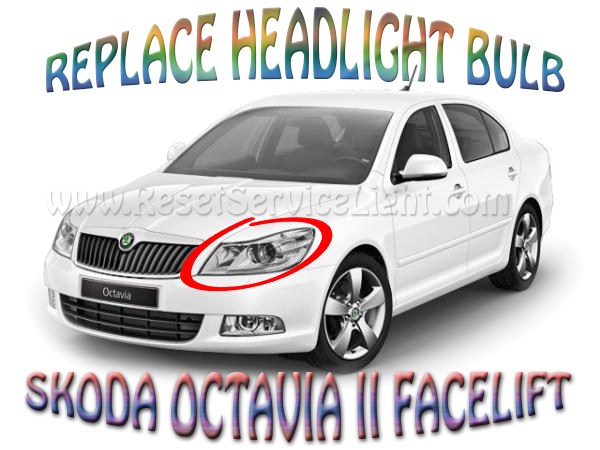 In this article we are gonna show you the steps you have to follow in order to replace the right headlight bulb on a Skoda Octavia II Facelift. 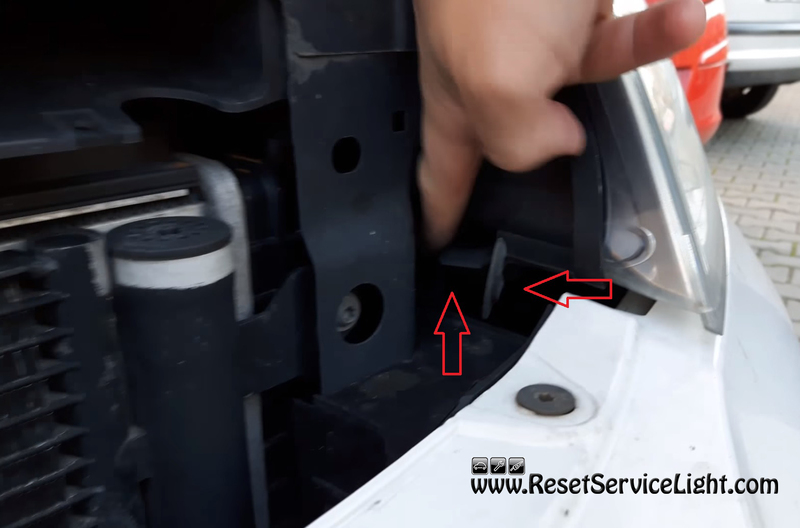 The first thing you need to know is that, to do this repair, you do not require tools or special skills or knowledge. The steps are very simple and you can do the replacement with your bare hands in about 5 minutes. In the beginning, you have to unscrew the white plastic screw nut located behind the headlight, under the bonnet (as you can see in the next image). 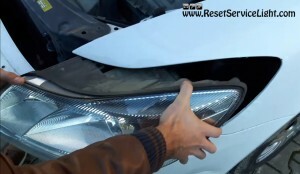 Then, you will need to press and pull the two plastic safety pieces situated on the left part of the headlight, as shown below. At this point you will be able to remove the headlight assembly, getting you access to the light bulb. The final step before replacing the light bulb is to remove a plastic cover behind its socket. In the next picture you can see how this piece looks like. The light bulb gets out easily, after you turn its mechanism counterclockwise. 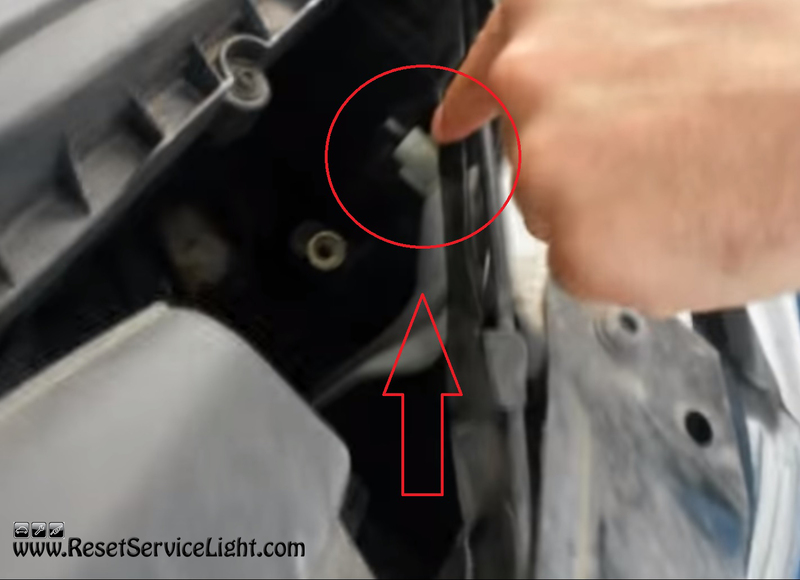 You can now install the replacement light bulb (the H7 model is required) making sure you do not touch its surface with your bare hands. It is well known that the grease on your hands can reduce the life of the light bulb. At the end, you just have to put everything back together carefully. 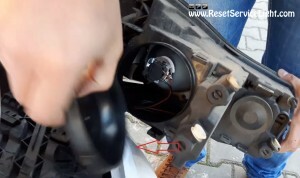 This is all that you have to do, if you need to replace the headlight bulb on a Skoda Octavia II Facelift. You can watch the video tutorial below for a more detailed presentation.